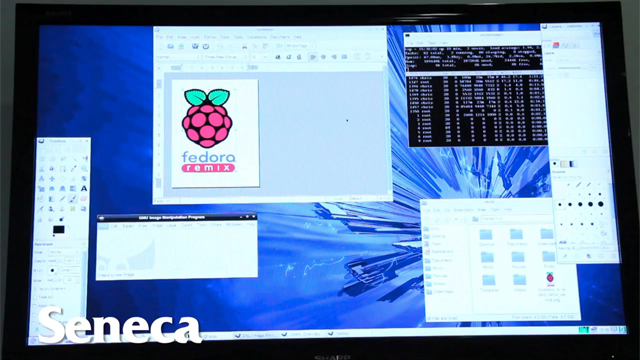 A new Fedora Remix distro download has been released for the Raspberry Pi. The new distro can be downloaded, copied to an SD card and then be used to boot the Raspberry Pi. The installation process is relatively easy and requires that you simply download it to Windows, put an SD card in your PC and then run a special installer which formats and prepares the SD card to function correctly. When done, you simply load it in the Pi and switch it on. This particular distribution comes with Gimp, Firefox as well as some office apps. It also makes use of the GPU found on the RPi which allows it to be used for media as well. For those of you still unsure of where and how to begin, jump over to the RPi blog for the full instructions as well as the download location of the distro.